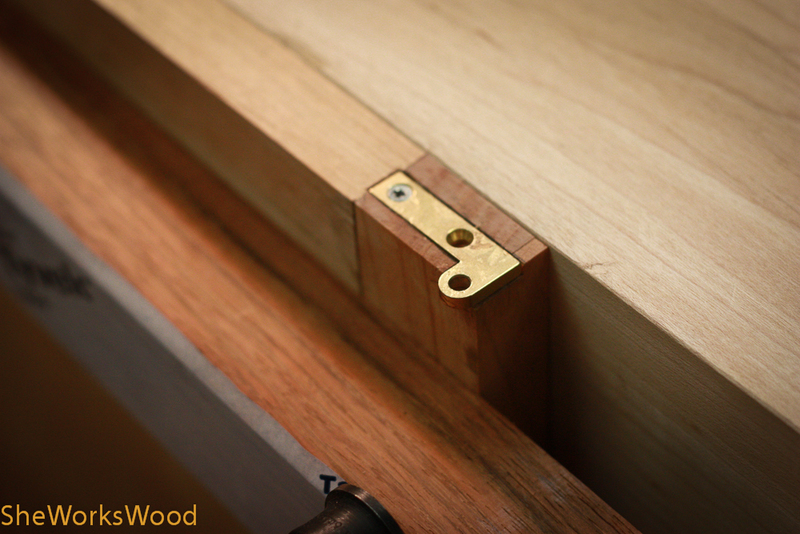 I did a step by step of the hinge installation for anyone whose interested .. and .. so I don’t forget how I did it. I used card scrapers on all for sides to create the proper spacing. 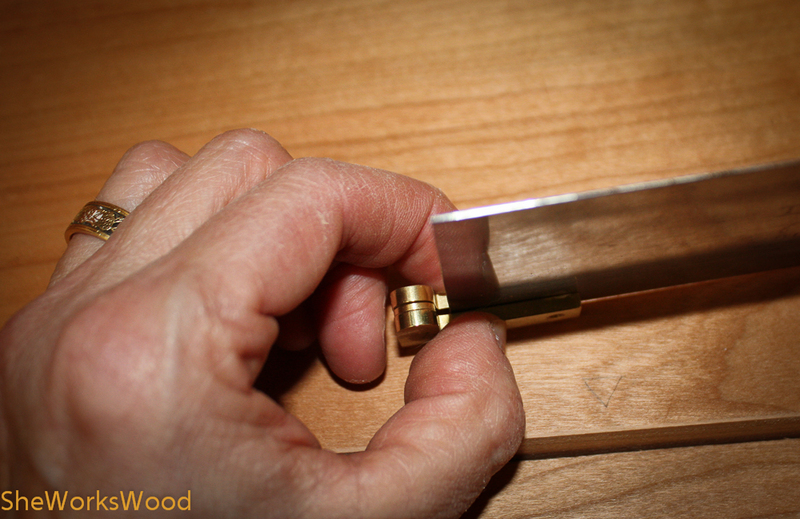 The card scraper just happens to be the same thickness as the hinge washer. The pre-trim perfect fit. Just a bit too big all around. Card scrapers create the perfect spacing. Card scrapers all around. 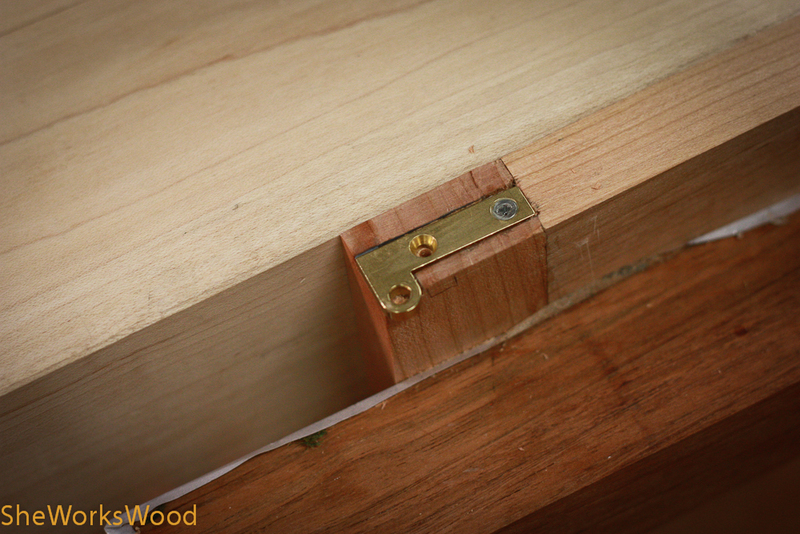 Dummy marks so I don’t put the hinges in backwards. 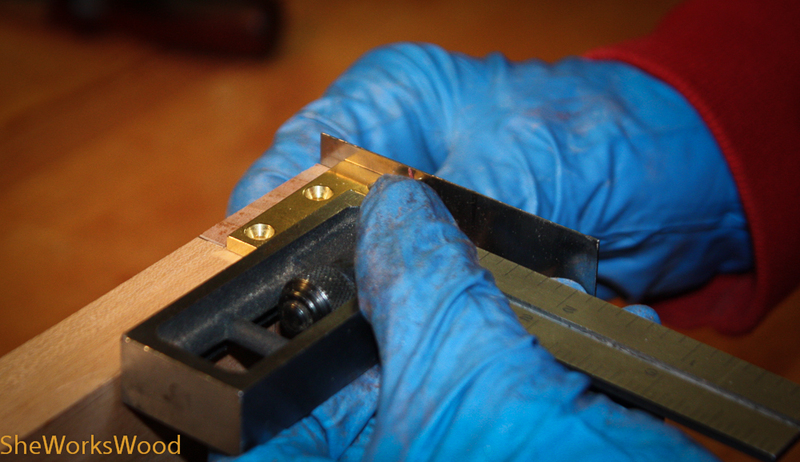 Initial hinge spacing using a card scraper. Why use the card scraper? 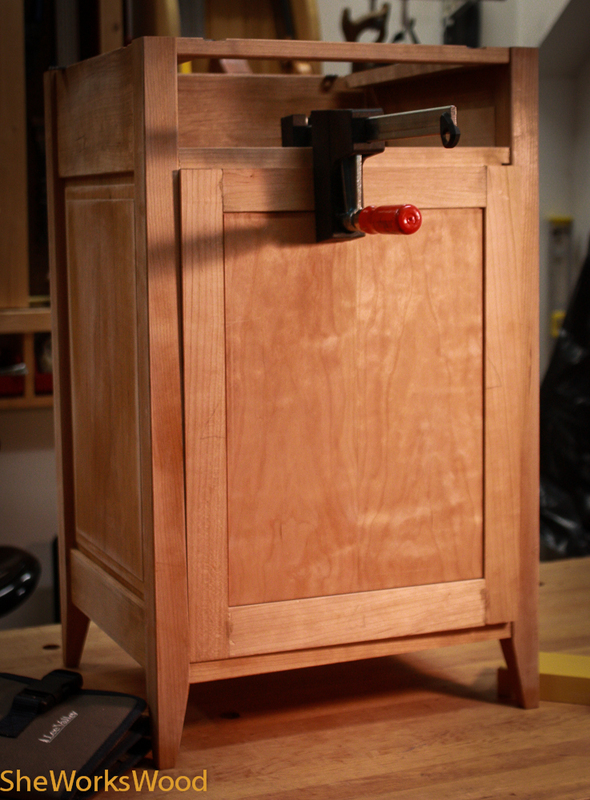 .. because its the same size as the hinge washer. 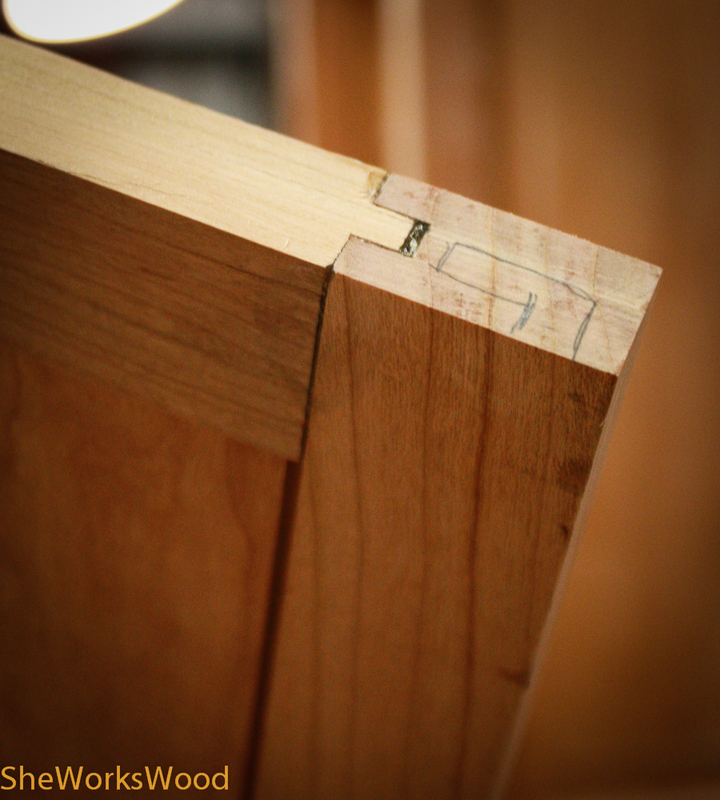 Locating the hinge front to back using the combinations square. 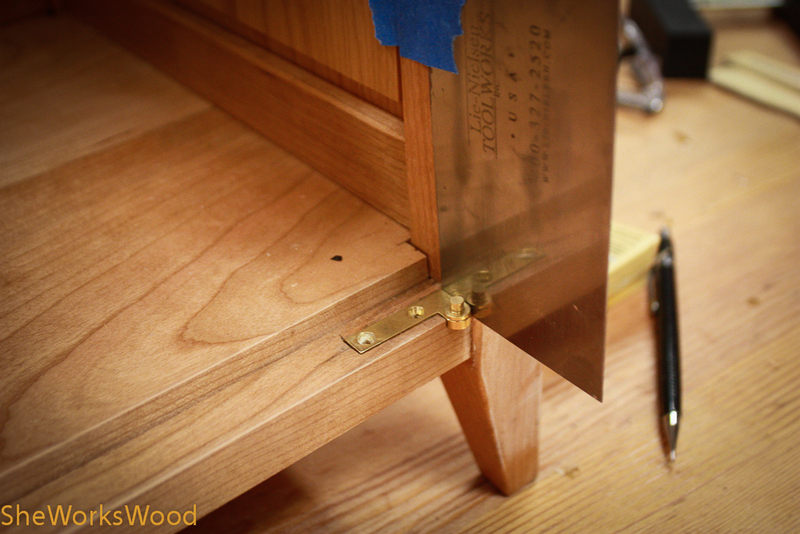 Placing the hinge and super gluing in place. 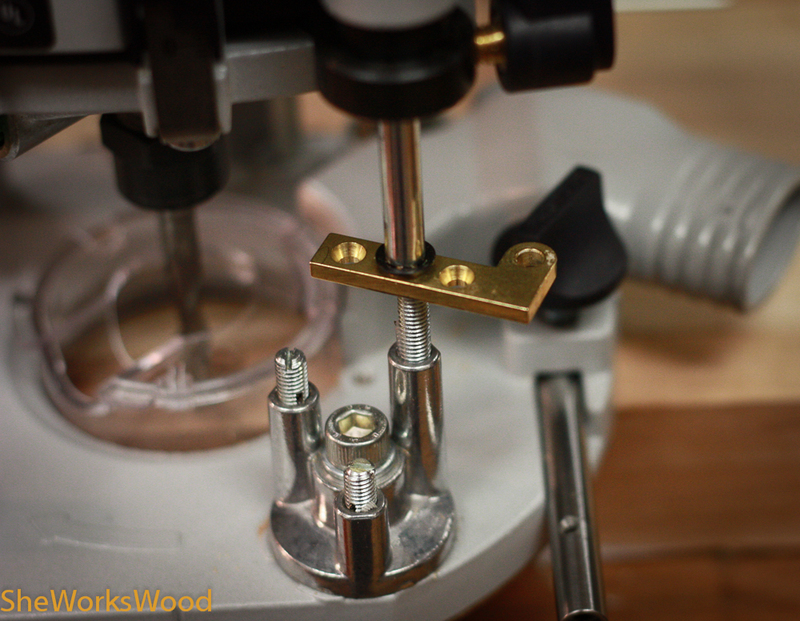 Using the hinge to set the router depth. 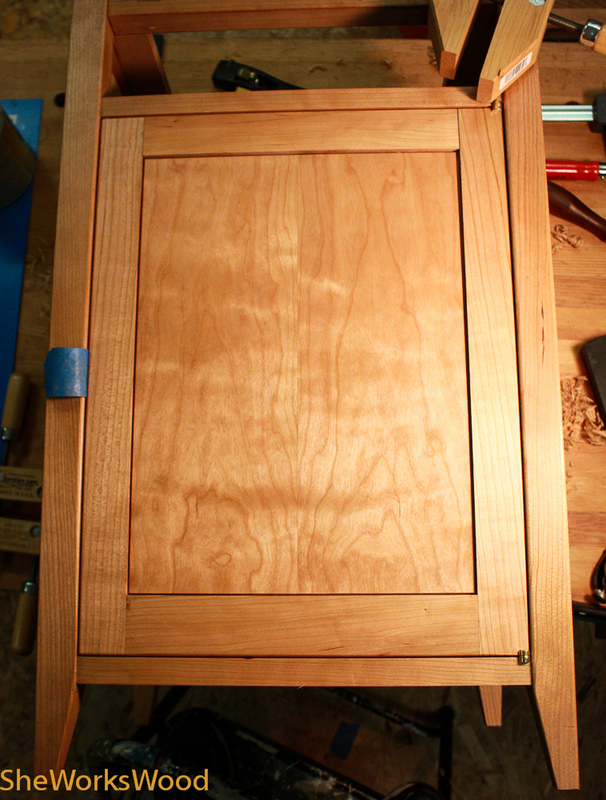 And here’s the door installed with spacing. 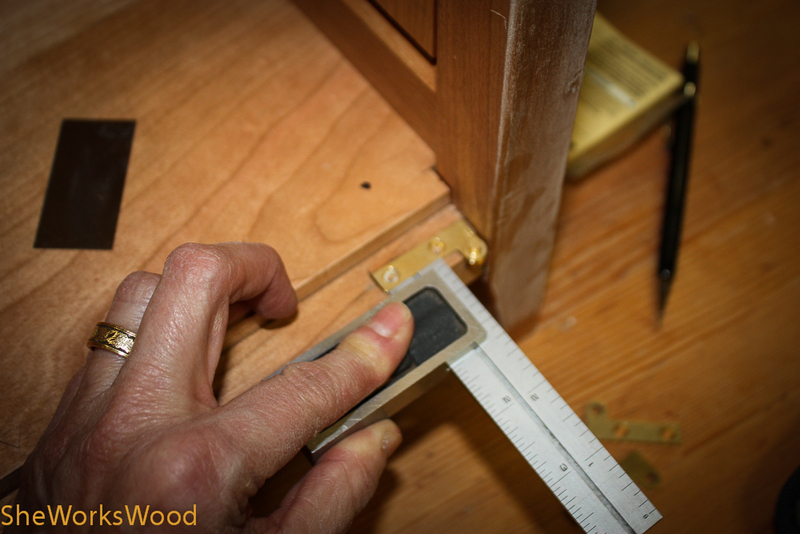 This entry was posted in bed side table, door, hinge and tagged bed side table, bedside table, door, hinge, hinge installation, knife hinge. Bookmark the permalink. Beautiful job. It’s nice to see other people in our woodworking community making beautiful heirloom quality items that will be around for generations. Hey! I am with http://www.dlawlesshardware.com. I tried to find a place to contact you but couldn’t. If you would be interested in working with us in anyway, I would love to hear from you at the e-mail I just filled in. I love your blog and I’d like to “sponsor” you in a way. I’d love to provide the hardware you are using for these projects free of charge. Hi Marilyn, Great job, your bedside table is very nice. You commented it was too big, I am not sure of the dimensions but it doesn’t look too big. Thanks so much. I’ve already put the bedside table in its final location and you’re right it fits perfectly. 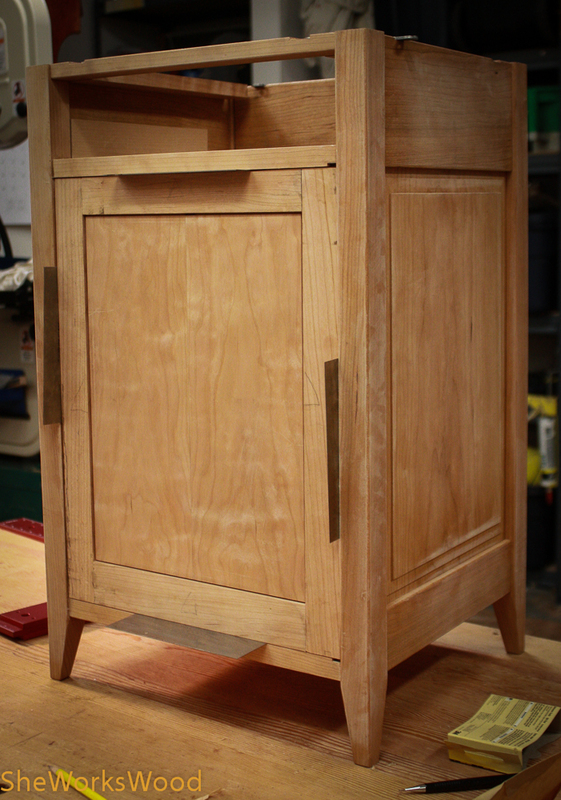 More pictures of that today of the final project (minus the drawer). I really do need a bedside table so it will be put into service immediately while I’m still making the drawer.